SELANGOR: The air pollutant index (API) in Selangor has spiked tremendously, which is higher than the standard hazardous levels according to the Department of Environment. Malaysia’s Deputy Health Minister, Professor Ken Wooi, stated that this issue is absurd. “It’s like every single Malaysian is having a BBQ party together!”, Prof. Ken said when contacted earlier. “In the meantime, I advise all residents to stay indoors. No excuses!”, he continued. He added that heading outdoors even with face masks on is not advisable. According to the Department of Environment, any API reading above 301 is considered hazardous. To tackle this hazardous issue, Malaysian Prime Minister Dato’ Sri Najib Abdul Razak has announced a brilliant idea that the government has been working on recently. According to him, the haze from Sumatra has been a yearly affair, hence the government of Malaysia has taken serious precautionary measures to curb the nuisance this year. Yes, the revealed project is called the Project “1Malaysia Fan” (or also known as “Kipas 1Malaysia Projek” in the Malay language), that comprises of gigantic fans to blow the haze away from Malaysia. According to Dato’ Sri Najib in a press conference, he highlighted that funds from the Malaysian citizens have been used to contribute to this secret project. “This is for you! It is for your survival!”, he emphasized. 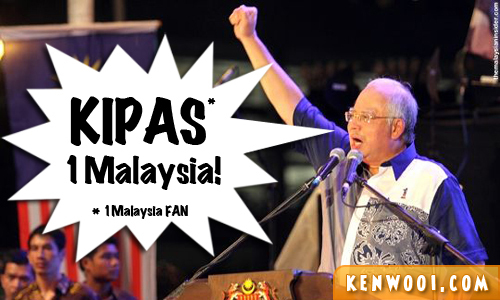 Over the year, the Prime Minister has discussed the development of the “1Malaysia Fan” with its parliamentary cabinet. The initial proposal was unanimously agreed by all the ministers, especially by the Deputy Health Minister, Professor Ken Wooi, as he will be spearheading the project to protect our beloved Malaysians. 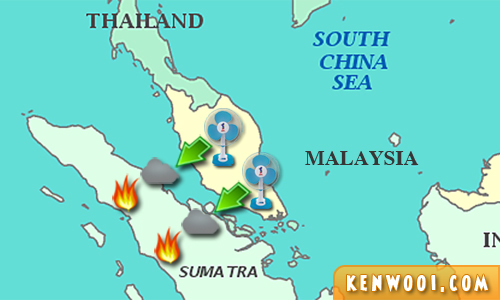 When news regarding the haze from Sumatra broke out and that it may inevitably invade the Malaysian skyline, preparations to deploy the 1Malaysia Fans have been initiated immediately. The huge 1Malaysia Fans will be constructed at several strategic locations throughout the peninsular. 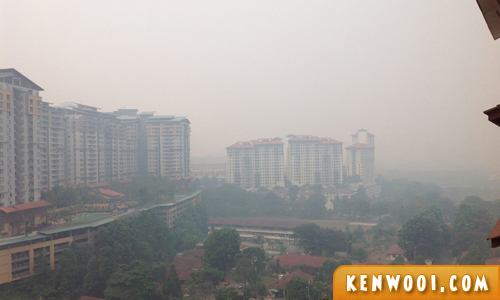 This view is the current state of the haze in Selangor. It possesses serious risks to the people’s health and lifestyle. 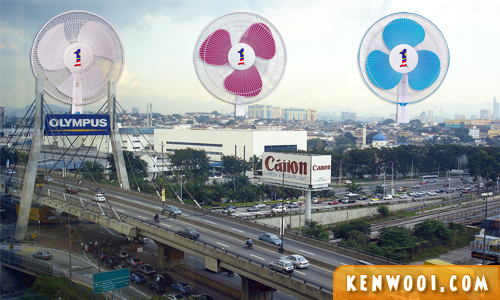 Therefore, once the 1Malaysia Fans are activated, they will blow the haze away and clear the sky. Malaysians would then be able to see clearly again, and also not complain that their Instagram application has updated an unfavorable “Haze” filter. Besides the main cities, the 1Malaysia Fans will be deployed along the PLUS North-South Expressway. 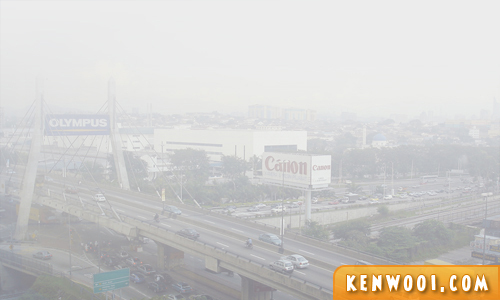 There were reports on drivers experiencing poor visibility due to the haze. Accidents may occur and that’s very dangerous. “The haze is making my Audi dirty too!”, a rich uncle complained. 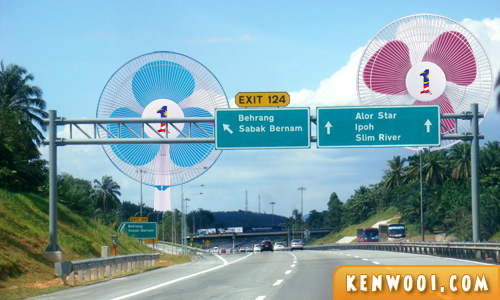 Therefore, the 1Malaysia Fan will also blow the haze away! And once again, Malaysians will have better visibility on the roads, and not complain about blurred vision while driving. Therefore, it’s evident that the Malaysian government is doing its best to clear the haze. Professor Ken Wooi assures that this innovative project will be successful, and advises all citizens to keep calm and stay at home. 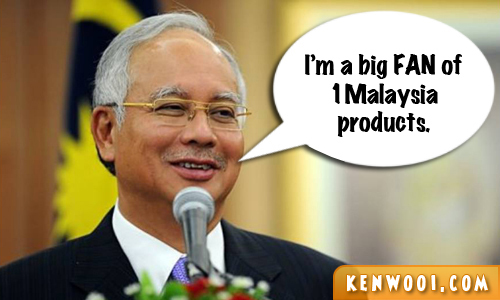 Also in yesterday’s conference, Prime Minister Dato’ Sri Najib echoed Prof. Ken Wooi’s statement, and stated that all Malaysians must believe in the local products – especially the 1Malaysia products. Fear not, Malaysians! You’re safe in the hands of Captain Malaysia! 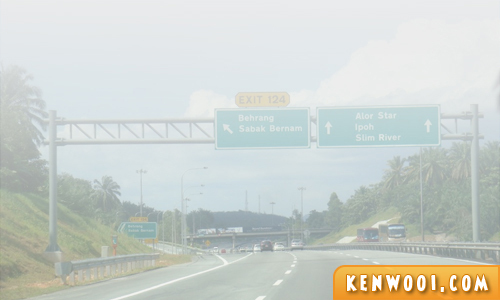 – This news is brought to you exclusively by Kenwooi News Network (KNN). LOL, so creative…how much is the estimated cost for a fan professor? Check out my poem. Even better. Haze vacuum cleaners! > http://t.co/zjfsDyaTUG :D LOL. Suka sangat post ni……. ahhahaha! so creative! I know this is for comedic purposes, but c’mon Malaysian goverment, THIS IS SOME LEGIT STUFF. summore can promote 1Malaysia. Finally, we have some superb product to counter the haze. Sell some to Singapore too and not forgetting batam. 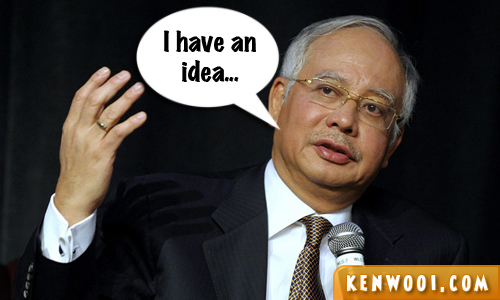 Our PM is selling idea of Kipas 1M’sia … WTFFFFFFFFFF!? I seriously think majority of our minister are IDIOTS! 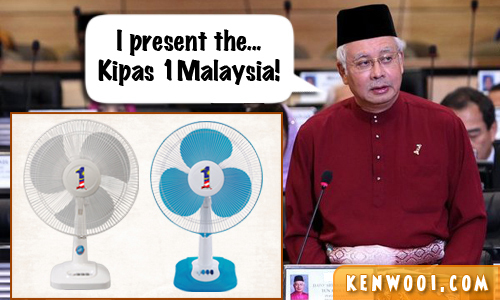 you very funny la kenwooi… kipas 1 malaysia..
haha! so creative! but will the fan costs like 1 million one..